All around the world, stories and legends abound regarding flying dragons. Generally, legends are rooted in some element of truth and this appears to be the case with flying dragons. Paleontologists have found amazing fossil evidence all over the globe of giant flying reptiles called pterosaurs. Hello friends, this is Doug Batchelor. How about an amazing fact! All around the world, stories and legends abound regarding flying dragons. Generally, legends are rooted in some element of truth and this appears to be the case with flying dragons. Paleontologists have found amazing fossil evidence all over the globe of giant flying reptiles called pterosaurs. Pterosaurs were flying reptiles with the wing span of nearly 40 feet, that’s about the size of a small Cessna airplane. They appear to be the largest flying animals that ever lived on Earth. It had lightly-built hollow bones and a 300-pound body. By comparison, the heaviest bird alive today is the kori bustard, it’s only 42 pounds. Pterosaurs had a long, thin beak with a toothless jaw. The neck was about 10 feet long and the legs were over 7 feet. To someone watching from the ground, the long legs trailing behind the flying pterosaur might have looked like a pointed tail. Pterosaurs had a large brain and big eyes. Fur-like fuzz might have even covered some of its body. We can’t tell from the bones, but it’s entirely possible that some of these extinct dragons were red. They had a bony crest on the head some thought acted like a radar for flying. Other scientists have surmised that the chambers in the skull of the pterosaurs could have contained chemicals like a bombardier beetle that were mixed, spraying a firing liquid from their mouths. Some of these creatures might have even survived the Flood. The Greek historian Herodotus wrote about winged serpents living in Arabia in the 5th century before Christ. Did you know the Bible has a lot to say about dragons, and at least one of them still exists? Stay with us friends, we’re going to learn more as Amazing Facts brings you this edition of Bible Answers Live! Welcome to Bible Answers Live brought to you by Amazing Facts ministries. Are you looking for a clear, concise answer to your most challenging Bible question? Maybe you are struggling to understand difficult passages of Scripture. If so, you’ve come to the right place. Join us now as we open God’s Word to discover His will and find honest practical answers to your Bible related questions. This broadcast is pre-recorded. If you have a Bible question, call us Sundays from 7-8 pm, Pacific Standard Time at 800-GODSAYS. That’s 800-463-7297. Now let’s join our host, author, speaker and evangelist, Pastor Doug Batchelor. Pastor Jëan Ross: My name is Pastor Jëan Ross. Good evening listening friends and Pastor Doug let’s start the program with prayer. “Dear Father, we thank you again that we can study Your Word together, we ask your blessing upon this program, be with those who are listening. We pray, Father, for wisdom as we search the Scriptures for answers. For this we ask in Jesus name, Amen. Pastor Jëan Ross: Pastor Doug, is good to be back! Both you and I were in Dallas, Texas so we can go Sunday and we just finished up on the Amazing Adventures series just for kids. Pastor Doug Batchelor: That’s right! As a matter of fact, if people want to know what happened there, this was a satellite broadcast on TV all over the world, and at the website the programs are now posted. Kids really enjoyed it, and a lot of kids made decisions for Jesus. Pastor Jëan Ross: You opened the program by talking about dragons... these mystical animals that flew and breathe smoke and fire... I guess there’s some evidence that folks have dug up that there were these large creatures that flew and, quite possibly breathe out a fiery type of mixture of chemicals. Pastor Doug Batchelor: That’s right and I think most of our friends who have any kind of basic understanding of paleontology have heard about pterodactyls, but there is a giant flying reptile: the pterosaur. They were dragons, really. If you saw one going through your neighborhood, you’d run for coverence. If you see a flying dragon outside, big as a Cessna airplane, 300-pounds body... That’s enormous for a flying animal. With the bones, like I said, we don’t know exactly what color they may have been and what everything was used for. It seems to defy the evolutionary logic that they would have large brains, but it seems that they were intelligent creatures. Some of those chambers in their hollow heads may have housed the same kind of chemicals that a bombardier beetle and another creatures sometimes will mix chemicals and spray them. “And there was war in heaven: Michael and his angels fought against the dragon and the dragon fought and his angels, and prevailed not neither was their place found any more in heaven. And the great dragon was cast out, that old serpent, called the Devil, and Satan” so we know who that dragon is, it’s very much alive today. But when people read about the mark of the beast in Revelations 13, the dragon appears in that Chapter, too. 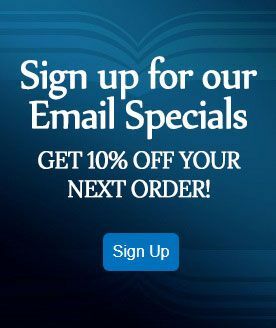 And they might want to understand more about the role of the dragons in the last days and in prophecy, we have a special offer: talking about the real dragon. Pastor Jëan Ross: We have a book entitled “The Beast, the Dragon and the Woman”. It deals with Revelation 12, Revelation 13 and 17 and so on. It’s free, call our resource line 1-800-835-6747 and for any of those who are listening ask for “The Beast, the Dragon and the Woman” and we’ll be happy to send that out to you. Let’s go to the phone lines, Sharon is from West Virginia, Sharon, welcome to the program! Sharon: Thank you! Pastor Doug, my question is why did Jesus Christ have to die? Why couldn’t any of the Holly Angels like Gabriel have come and died for us? Pastor Doug Batchelor: Many theologians believed that the angels probably offered themselves rather than see their commander die, because of course they all are filled with love and the same spirit of sacrifice, but since it was the Law of God that was violated than only the Law Giver could be the substitute. Only the sacrifice of God could be sufficient to eclipse the guilt of a whole world. An angel, in theory, could take the place of an angel. I might be able to give my life in a court to take the penalty for someone else, there’s equality there. But only the Creator of humanity could die for humanity. Sharon: Yes, that makes sense. Pastor Doug Batchelor: That’s why it had to be Jesus. Pastor Jëan Ross: You know, there’s a verse that kind of connects with that, John 10:17 and 18, Jesus speaking “Therefore does my Father loves me because I lay down my life that I may take it again.” then Jesus says “No man takes it from me, but I lay it down of myself. I have power to lay it down I have power to take it again.” No created being has power to take up his life. Life is a gift that he’s received from God, but Christ had the power to lay down his life and to take it up again. Pastor Doug Batchelor: In itself that’s a mystery. Hope that helps a little Sharon! Sharon: It certainly does, thank you very much! Pastor Doug Batchelor: Al right, appreciate your call. Pastor Jëan Ross: Anthony is calling from Chattanooga, Tennessee. Anthony, welcome to the program! Anthony: Hi, thank you for taking my call. I was wondering because I know that the churches in California are being challenged by the whole gay marriage issue and about that campaign “Proposition 8”, and I was just wandering if you can tell me why exactly God condemns homosexuality. Is it just some arbitrary command or does homosexuality really harms people, or harms society? Pastor Doug Batchelor: That’s a good question. I appreciate that and especially we’re broadcasting from California where there’s a very important vote that is going to be addressed in November. In my mind is even more important than the presidential elections. It’s a constitutional amendment called “Proposition 8” and it’s actually tragic that we’ve come to the place where we actually have to vote this, but I think the warning says that California will only recognize marriage as between a man and a woman. You know, marriage is going to be between a man and a woman. You would think that we have a no-brainer, but back to your question. The Bible, both for religious and civil reasons condemns homosexuality. Our founding fathers used some language in the Constitution that says there are certain truths that are self-evident. Self-evident. In other words, some things everybody knows and among those were life and the right to pursue freedom and happiness. Another self-evident truth that the founding fathers believed in, is that a family consists of a man and a woman. It’s a self-evident truth that you can see in nature, the relationship between male and female, and that civilization is born out since history begin. But we’re living in such a convoluted society that now they are gay activists that are pushing to redefine what marriage is. It’s going to be an avalanche of problems that will come in the wake of this if we’re not successful in having people vote “Yes” on Proposition 8. Even in the Ten Commandments, the first four commandments are religious in nature. They deal with man’s relationship with God and governments should never legislate what God you should worship or what day to worship or how to worship. That’s all in the first four commandments. But the last six commandments are civil. They deal with lying or perjury, they deal with stealing, they deal with murder, and among those six commandments you have parental authority and you have marriage, adultery. It’s interesting that in the tenth commandment, Pastor Ross dealing with covetousness, it says you’re not supposed to covet your neighbor’s -- and it’s written from the male perspective -- you’re not supposed to covet your neighbor’s house, or his donkey or his wife, but it never says that a man is not supposed to covet another neighbor’s husband, because it was just a self-evident truth that was understood. Society is built on this self-evident truth that marriage is between a man and a woman. To erode that or to undermine that, I think that’s usually when a civilization crumbles. That’s where Greece fell, that’s where Rome fell and I think America is in big trouble if we can’t get that straight. Appreciate your question, Anthony. Pastor Doug Batchelor: Yes, as a matter of fact we have a book we can offer, by Gerry Gibbs and it’s called “Return to Sodom”, I believe we still have... Yes, I’m getting a nod on the other side of the glass. We still carry that. “Return to Sodom” if you’d like to better understand some of these issues regarding the militant gay agenda to redefine what morality and virtue is. You can call Amazing Facts and ask for “Return to Sodom”. Pastor Jëan Ross: The number is 1-800-835-6747 and the book is “Return to Sodom”. Mike is listening from Minnesota, Mike, welcome to the program. Mike: Hi, Pastor Doug. My question is who do we pray to, do we pray to God the Father or God the Son? Before you answer I just want to tell you that I’ve heard many stories where people in trouble prayed to Jesus and miraculously there’ll be help. But in churches, you know, the minister, priest or whatever will pray to God the Father in Jesus name so it’s kind of confusing. What’s your thought in that? Pastor Doug Batchelor: That’s a good question and you’ll often hear, especially in children’s divisions, children like to talk to God on a personal level and the name of God they think it is Jesus so they often address their prayers to Jesus. Technically, the vast majority of prayers in the Bible are addressed to God the Father. Christ said when you pray, pray in this manner, “our Father”. Most of the Apostles prayed to the Father. There is one example in Acts 7:59 when Stephen, the deacon was being stoned. As he was expiring he prayed and it says he called on God and said “Lord Jesus, receive my spirit.” So, that’s one case of someone addressing Jesus in prayer. I don’t think that there is anything wrong with that because Christ told us to be baptized in the name of the Father, the Son and Holly Spirit. Technically I think we should appeal to the Father in Christ’s name with our prayers. Pastor Doug Batchelor: Appreciated that good question. Mike: Thank you, Pastor Doug. Pastor Jëan Ross: You know Pastor, you’ve got a book dealing with the subject of prayer that might be helpful for our listeners. Pastor Jëan Ross: We’d be happy to send that out to any of our listeners, it’s 1-800-835-6747 and you can ask for Pastor Doug’s book on prayer, “The Privilege of Prayer” and we’d be happy to send that out to you. Our next caller is Thomas and he is listening from Ontario, Canada. Thomas, welcome to the program. Thomas: Oh, thank you very much. How are you guys doing? Thomas: I have my question, and actually, it’s amazing how God works I think, because your introductory topic talking about the dragons is in line with my question. It starts off with Proverbs 8, and I just basically used another reference to say that there are two women there, one representing wisdom and one representing a harlot, or a strange woman coming to take men away from their wives. I guess we would both conclude that those are not literal women, right? Thomas: I’ll just finish really quickly. Ezekiel 28 where it says that the King of Tyre was in Eden, right it says “You were in Eden”, when you look at Ezekiel 27 the actual country that they traded with, the country of Tyre was, one of them was Eden, Chapter 27, verse 23. So I was wandering how do we get a literal devil from those passages, if you can just answer me? Pastor Doug Batchelor: Alright, I’ll do my best. Your question was kind of North, South, East and West, so I’ll try to focus on one aspect of it. First of all you said how can I call the devil a man if it’s really talking about this fallen angel? There’s a number of cases in the Bible where angels appeared and were first referred to as men. When Jesus ascended to Heaven he tells us that there are two men standing there and by apparel we find out that they are angels. When the two “men” came to Sodom to extract Lot, first refers to them as men and then we find out that they are angels. It’s very common in the Bible that the word man is a general term that’s used to describe a being on Earth or someone who looks like a man. So, it’s not uncommon to see it that way. When you get to Revelations 12 you got the dragon trying to devour the man-child as soon as it’s born. Well the dragon is working through the kingdom, the dragon is a power working through the kingdom of Rome, Herod and his minions trying to kill all the babies in Bethlehem. When you look in Isaiah 14, it’s talking about the dragon, who is the devil, who is inspiring the kingdom of Tyre, in Ezekiel it’s Babylon. What the prophets do is they pull aside the veil and they look at what is the power behind these kingdoms that is working. Pastor Doug Batchelor: That’s a good one! Pastor Jëan Ross: ... whom I had seen in the vision being caused to fly swiftly” so here is Gabriel, an angel who can fly who is referred to as a man. Pastor Doug Batchelor: So yeah, it should not surprise us at all that Lucifer is referred to in the terminology as a man. Thank you Thomas, hope that helps a little bit. Pastor Jëan Ross: Our next caller is Joseph, listening on WMCA from New York. Welcome on the program, Joseph! Joseph: Can you tell me why, when Herod asks Jesus to perform a miracle he didn’t do it? Pastor Doug Batchelor: That is a good question. I believe the answer is because Herod grieved the Holly Spirit. This is the same king Herod who had condemned John the Baptist to death. Jesus said “if they receive not you, than they receive not me.” When Herod received not the preaching of the word from the greatest of the prophets, John the Baptist, Jesus had nothing more to add to impress him. Christ said, you know, it’s an evil and adulterous generation that seeks after a sign, and Herod certainly was evil and adulterous and he was seeking after a sign. Jesus said if they believe not Moses and the prophets, if they don’t believe the word of God, then they won’t be persuaded that one should rise from the dead. Herod still was not persuaded, not even Jesus rose from the dead. He did not do a vaudeville show for Herod and perform miracles because he had had plenty of evidence. Joseph: What about before Pilate? Pastor Doug Batchelor: Why? Well Pilate did not ask for a miracle, and Pilate did actually get a miracle in the sense that Pilate’s wife had a vision, a dream and sent a message to him the very time he’s trying Jesus. That was sort of reinforcement for him. Pastor Jëan Ross: You know, there’s other cases that we see in the Gospel where it was actually the devil trying to persuade Jesus to perform a miracle: the time when Jesus hadn’t eaten for 40 days and when the devil came and said “if you’re the son of God turn these stones to bread”. Pastor Jëan Ross: The spirit behind Herod was not a genuine spirit seeking truth, but it was that same satanic spirit that had asked Jesus for a sign to appease his own curiosity. It wasn’t a genuine request. Pastor Jëan Ross: For truth, yes. Joseph: But don’t you think it would have helped in the conversion? Pastor Doug Batchelor: That’s what Jesus said, if they don’t believe the word of God times and wonders won’t convert them. Think about this for a second, Joseph. The enemies of Jesus, the religious leaders that had him crucified, when the soldiers came and said “we saw an angel and He has risen from the dead” they paid the soldiers to lie and say that the disciples sold his body. Even after that remarkable evidence that He had risen, they still would not believe. Joseph: Where is that written in the Bible? Pastor Doug Batchelor: That’s Matthew 27, Pastor Ross is going to look that up for you. In the Gospel, the soldiers that went into the city when they said that they saw this vision of angels and that He had risen, they were paid off to say that the disciples came and stole His body, while they slept. Pastor Doug Batchelor: Pastor Ross is looking up the reference. You’ve got slightly unique accounts in all four Gospels and I believe this is in one Gospel... If you look up “stole his body”, you’ll find that. Pastor Jëan Ross: Yes, I’m just trying to find it. Matthew 27, we’ll talk a little bit more about the Resurrection and if you just keep reading on there, you’ll find that. Joseph: I will check it out. Thank you very much! Pastor Doug Batchelor: Alright, thank you Joseph, appreciate it! Pastor Jëan Ross: Our next caller is Wilbert listening from Bismark, North Dakota. Wilbert, welcome to the program! Wilbert: Thank you, thank you. The Julia E. Smith Bible, do you know anything about it? Pastor Doug Batchelor: You know, it sounds familiar, but I don’t know the copy. I have a lot of different Bibles. I think in English they’re 70 different translations throughout there, some of them pretty dismal. Wilbert: I guess she wrote it back in 1876. Pastor Doug Batchelor: I don’t have a copy. I’ve heard of it before so it’s hard for me to comment. You know, the only thing I can say is it didn’t take off and become very popular so it may have been a not very good translation. Pastor Doug Batchelor: I’ve got 11 Bible translations. I’ve got more than that on my laptop here, but I don’t have that one. Sorry. Pastor Jëan Ross: Our next caller is Andrew who’s listening from Huntsville, Alabama. Andrew, you’re on the air. Andrew: Yes, hello, good evening. Pastor Doug Batchelor: Evening! How can we help you? Andrew: I’ve been doing a personal study on the state of the dead and I was reading a book and it was telling me to look at Matthew 10:28 and I come to understand that we do not have a soul apart from the body. I understand that personally, but I was wondering how Matthew 10:28 reads “And fear not them which kill the body, but are not able to kill the soul: but rather fear him which is able to destroy both soul and body in hell.” I was wondering why Christ here uses body and soul as two separate entities if they are, in fact, part of one whole entity? Pastor Doug Batchelor: This is one of the more difficult issues. The words “soul” and “spirit” are used in a variety of ways. We’ve got a variety of words in the English language that, depending on the context, they mean different things. Here, Christ is talking about, obviously, that a person can be saved. They might get tortured in their body, killed, but the essence of who they are that’s going to be resurrected and put into a new body, they can’t touch that. So that’s what Christ is talking about, the character, who they are. Don’t be afraid of someone who might destroy the body, but can’t touch who you are. They can’t take away your soul. When we say that we know in English what that means but it’s hard sometimes to define what is that soul and the best we can say is the essence of who you are. With computers you’ve got your hardware and then you’ve got your software. In this life your body’s the hardware, your soul is the software that operates in the hardware, and when we are resurrected, God gives us a new hardware, a new body, but who you are, the software, will be installed. Do you understand? Pastor Doug Batchelor: I got a new computer and I took all the important programs from my old computer, all the documents, all that who that computer was and I put that on my new computer, so many programs... Actually I forgot a couple, but I’ll get them. That’s the idea. That’s a great verse, you know why? Some people think that the soul doesn’t die in hell and here Jesus says soul and body are destroyed in hell. It’s very clear. Andrew: So, it can be used to prove different things, at the same time. Andrew: No, I have not. Pastor Doug Batchelor: Would you like a free copy of that? Andrew: Yes, I would love that. Pastor Doug Batchelor: Alright. We’ll give you the phone number. You could either stay on the line or just call. Pastor Jëan Ross: The number is 1-800-835-6747 the study guide is “Are the Dead Really Dead?”. We’ll be happy to send that out. Pastor Doug Batchelor: Music just came in, perfect timing. I didn’t have to cut anybody or cut them off. Friends, we want to remind you that during this program we take questions from all over the world, we try to budget just few minutes to get as many questions as we can. We would like to bounce you to the website where you can do deeper study. Some of these are very important, profound questions, but we can give a cursory, quick answer and so we’re offering the free offers so you can study deeper. Also go to amazingfacts.org, there you will see one of the tabs that says “Free Library” and there’s a kaleidoscope, blizzard, plethora, abundance of free information there that you can study on a vast spectrum of Bible subjects. And so, check out amazingfacts.org! You’ll also see there a number of very interesting amazing facts, Bible studies right there at the mothership webpage you can go to. We’re going to take a break and come back in just a moment with more Bible questions. 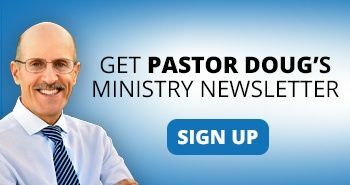 Pastor Doug Batchelor: We are back and we are live! We invite your Bible question, if you’ve got a question, call 800-GODSAYS and wait patiently. We’ll do our best to get to and through as many as possible. If you’ve joined this along the way, this is Bible Answers Live, it’s a live international interactive Bible study. My name is Doug Batchelor. Pastor Jëan Ross: My name is Pastor Jëan Ross. Pastor Doug, before we took the break you were speaking about some of the resources that people can get from the website, the Amazing Facts website. Pastor Doug Batchelor: That’s right. We have a new website that has become very popular. You know, more and more people are getting their media on the internet because bandwidth is getting wider and it’s increasing in speed and some people now are just watching their television on the internet. Amazing Facts has a website 24 hours a day, there’s lots of different programs that are Evangelist, it is Evangelistic programing. It’s very easy to remember: amazingfacts.tv. Type into your browser amazingfacts.tv and you can even watch archives of other programs. And you know what? We’re talking right now – keep listening, we’re going to surprise you one day, friends – about bringing a camera into the studio and putting Bible Answers Live up on the internet. I don’t know if there’s any redeemable value in looking at Pastor Ross and I, but you’ll be able to, and see what we’re doing here in the studio and what we look like. The only problem is that you’re going to find that we’re not wearing suits and ties when we sit here like when we preach. Anyway, go to amazingfacts.tv and you can see the variety of programs that we’ve got there. Pastor Jëan Ross: Pastor, we spoke to Joseph earlier in the first half and we were looking for that verse that spoke about the leaders of Israel bribing the soldiers with money. Pastor Jëan Ross: And we had mentioned Matthew 27. We did a little looking, it’s Matthew 28. Joseph, if you’re still listening, starting verse 12, it’s verse 12, verse 13, let me read it for you, it says: ‘And when they’– that’s the Jewish leaders – ‘were assembled with the elders, and had taken counsel, they gave large money unto the soldiers/Saying, Say ye, His disciples came by night, and stole him away while we slept’. Pastor Jëan Ross: Marsha, and she is calling from Michigan. Marsha, welcome to the program! Marsha: Yes, hi! Just in the nick of time, I just took my laundry out of the dryer. Pastor Doug Batchelor: Well, good! We’re glad to meet it! Marsha: Had to put the phone down. Anyway, my question was about Adam and Eve. Now, we all know that Eve sinned. But if Eve sinned and Adam had not sinned, what would have happened and what would have happened to Eve? Pastor Doug Batchelor: You know, that isone of those questions. I’ve heard that before, I’ve thought it myself. It’s one of those questions that can make your brain explode because it’s a hypothetical question. You can say: what if? I had a child ask us during our children’s meeting two weeks ago: if Adam and Eve hadn’t sinned, would I have been born? And we thought about it: Yes, but you would have been different, everything would have been different, you wouldn’t have known. So what would God have done? Well, I think if Eve had sinned and Adam had not, I don’t think Adam would have been held liable. I don’t know whether he would have activated the plan of salvation just for Eve of if God would have given Adam a new model as a wife. I don’t know and it’s just hard to speculate with those hypothetical questions. So the Bible doesn’t addressed what would have happened, all we can do is guess, Marsha. And my guess is probably not much better than other people’s when you get into some of those hypothetical questions. Hope that helps a little! Pastor Doug Batchelor: All right, thanks a lot! Pastor Jëan Ross: Ernest is listening on KFIA from Hamilton, New Jersey. Ernest, welcome to the program! Ernest: Yes, thank you. I have a question about John 5:4. Is that a fable, is that supposed to be a fable that they believed in or that’s something that really happened? That angels had gone to the pool and disturbed the water. Pastor Doug Batchelor: Well, it appears from the context that the story about the story about the Pool of Bethesda…A legend had grown around the pool that when the waters bubbled – and that there was a disturbance in the water and it could have been from the gases that would percolate every now and then, any variety of things could have caused that from natural reasons – that whoever jumped in the water first would be healed. Well, you know, there are thousands of people that go to Lord’s Friends and they’ve believed that the waters there will heal them and there’s really no tangible evidence that people have received a dramatic healing. Some people perhaps have received some healing that’s based on just simple faith. Some of these dubious faith-healers, even though their lives are inconsistent, some people go to their meetings and, you know, their back pain goes away or their headaches go away and some of it may be just faith or psychosomatic. But evidently that’s what was going on around the pool here. You cannot imagine an Angel of God, seeing all these sick people gathered around this patio around the pool and when the water stirs or bubbles or ripples climbing and clawing over each other to get in the water. It’s just so unlike the spirit of God to torment people with that kind of attitude. So it was a legend that had grown up like the waters of Lord’s Friends and they’re just commenting on it. You notice that Jesus heals a man who doesn’t get anywhere near the water. He does it completely independent of the legend. Ernest: Exactly. Ok, thank you so much, I just wondered if that was a fable. I guess it is, I didn’t know. That’s one problem I had, especially the Revelation, the symbolism in it – I don’t know what criterion is used in order to differentiate what’s real and what’s not. Pastor Doug Batchelor: Do you know what would really help you? If you would like to take a look, can you get on the internet, Ernest? Ernest: Oh, yes, of course. 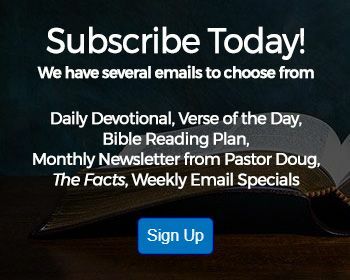 Pastor Doug Batchelor: You go to The Prophecy Code website and we’ve got some studies there that talk about what the Bible symbols are in Revelation and how you can know that. If you listen to the messages that are there, we go into Revelation in depth, explaining those symbols. Pastor Doug Batchelor: Just type into your Google ‘Prophecy Code’ and you’ll find the videos and everything there. Ernest: Ok, good. Thank you so much. Pastor Doug Batchelor: All right. Thanks, Ernest. God Bless! Pastor Jëan Ross: Our next call is Roxnelle, calling from the Cayman Islands. Roxnelle, welcome to the program! Roxnelle: Hi. Good evening! How are you all? Pastor Jëan Ross: Good evening! Thanks for your call. And your question? Roxnelle: We wanted to know what is the significance of 1290 days and 1335 days in Daniel 12:11-12. Pastor Jëan Ross: Yes, just to add to that, 508. You’ve mentioned, pastor, Clovis, King of the Franks. He converted to Catholicism in that year of 508. So if you take 1290-year period from 508, it will end in 1798, which of course is a very significant number that we see repeated several times in Revelation. Or date. Pastor Jëan Ross: This is probably one of the deepest studies of prophecies as far as time prophecy is Revelation Chapter 12. It’s difficult to paint the whole picture there. Pastor Doug Batchelor: The other thing is that there is no other chapter in the Bible that has more time prophecies in one chapter than Daniel 12. You’ve got three different time periods 1260, 1290, 1335 and to cover that in three minutes is really difficult. I’m trying to wonder how much to say. Best thing is to ask for our Bible Study Guide dealing with who is the Anti-Christ. I hope that will help, Roxnelle. Pastor Jëan Ross: Thanks for your call, appreciated. I wish I was in the Cayman Islands. Next caller is Henry, listening from Bronx, New York. Henry, welcome to the program. Henry: How are you doing? Pastor Doug Batchelor: Good, how can we help you? Henry: How can we prove that the Sabbath became the law when He gave it to the Jews, on Mount Sinai? I know there is biblical evidence talking about, you said Abraham, but how do we know before Abraham if the law existed. Pastor Doug Batchelor: First of all, Henry is really asking do we have biblical evidence to Sabbath existing before He gave it to the Jews on Mount Sinai. Genesis, Chapter 2, which is the second chapter in the Bible says “Thus the Heavens and the Earth were finished, and all the host of them. And on the seventh day God rested” and so God established as the Sabbath day the seventh day of the Creation. The reason the whole world has a seven-day week is because God, in the beginning created one more day. He made everything in six days. The seventh day was only made for one purpose. He made a day that He blessed and He sanctified and He rested. That’s the only reason why there’s a seven-day week, because God established the Sabbath back in the beginning. God wasn’t tired, He give it as an example for man in the Garden. That’s why Jesus said that Sabbath was made for man. When was the Sabbath made for man? Was it on Exodus 20, when the 10 Commandments were given? No. The Sabbath was made for man back in Genesis, Chapter 2. There’s further evidence for that, Henry. If you look in Exodus 16, before the children of Israel ever get to Mount Sinai, where the 10 Commandments were spoken and in Exodus 20 they are written, when they were gathering the manna, God told them to gather the manna six days a week. On the sixth day they would gather twice as much because there would be no manna on the seventh day because it was the Sabbath. God’s telling them this, as though they already know about it before they get the 10 Commandments on Mount Sinai. Then, one more, and this is not as strong, but I think there’s enough evidence to mention it when Moses first came to the Pharaoh and said “Let my people go”, before he went to the Pharaoh, they met. Moses and Aaron met with the elders of Israel. The Pharaoh got wind of that meeting. I believe that’s in Exodus Chapter 3 or 4. The Pharaoh says to Moses “you’re making the people rest” so he’s not going to give them straw for their bricks anymore. Evidently, when Moses and Aaron met with the elders they said “look you need to return to the Lord, you’re compromising the religion with the Egyptians, you need to start keeping the Sabbath again.” and they started resting on the Sabbath and the Pharaoh said “you’re making the people to rest” and the word that’s used there is “you’re making the people to Sabbath.” In the original. It’s the exact same word. You can find evidence for the Sabbath all the way back to the second chapter of the Bible. Pastor Doug Batchelor: Alright, thank you very much for that question, Henry. Pastor Jëan Ross: Our next caller is Sandy, and she’s calling from Illinois. Sandy, welcome to the program. Sandy: Hi, and God bless you all for what you do every day, especially what we don’t know about. I was looking in Genesis Chapter 4 and Chapter 5, and I’m a little bit confused. I’m trying to find out how many generations from Cain to Noah. Pastor Doug Batchelor: How many generations from Cain to Noah... I think you might find your answer quicker by going to Luke. Pastor Doug Batchelor: Yes, Luke traces the genealogy all the way back to Adam and I think that’s Luke Chapter 3. Is that right, Pastor Ross? In Luke Chapter 3, let me just look here. Yes, it’s Luke Chapter 3. It starts with Verse 24. It traces the genealogy all the way back from Jesus to Adam. You don’t have to go all the way back, but it does go back to Noah. You can start right there. Sandy: Ok, thank you very much. Pastor Doug Batchelor: Thank you, Sandy. Pastor Jëan Ross: Lisa is listening on KFIA, from California. Lisa, welcome to the program. Pastor Doug Batchelor: Hi, Lisa! How can we help you? Lisa: I was questioning Ruth Chapter 4, verse 4 and 6. He says I cannot redeem, He says... First He wants to redeem the land, but I cannot redeem it. But why? He says because this might endanger my own estate. Pastor Doug Batchelor: His own inheritance, yes. When Boaz first talks to... Well, let me explain the law of redemption a little bit. You need to have the background to understand this. In the time of the Old Testament, so many men died in battle that there were often seven women per man and there was a law that said if a man died and that man had a brother, that brother was to marry his brother’s wife. The brother was to take the wife. You can find examples for that with the Judas’ sons and others. When Boaz first approaches this near kinsman and says “look, you’re next in line to redeem the property of Elimelech” and the man said “ok, I’ll be happy to redeem it, so Naomi has a place to live.” But then Boaz added “now, if you’re going to redeem it, it will also require marrying the son of Naomi’s wife, Ruth.” and he said “I didn’t realize it will also going to involve taking another wife. That’s going to cause problems with my wife, and my children, and my inheritance. I would have bought the property back and give Naomi a place to live, but if you’re talking about me taking an extra wife, I’ve changed my mind.” That’s, I think, what was happening behind the scenes here with this issues in those verses. It never tells the name of the near kinsman, it just calls him a near kinsman. Sandy: So what happened with Boaz when he got the land? Pastor Doug Batchelor: Well, he bought back the land that Elimelech had lost when he migrated to Moab and he said “I’ll not only buy back the land, I’m not married.” Boaz was some sort of a ritual bachelor and he said “I’m not married, I’m wealthy. I’ll buy the land and then Ruth is a virtuous woman, I’ve been looking for a good wife, I’ll marry Ruth.” He did both. He took the name of Elimelech, so technically the inheritance of Elimelech was linked to Ruth’s and Boaz’s children. Sandy: That’s what I was wondering, did the land belong to Boaz, or...? Pastor Doug Batchelor: It belonged technically to Boaz, but then Naomi was able to live on it and the descendants of Ruth were able to still keep the possession of their father’s in the family, because Boaz was related. I know, it sound a little bit complicated, you almost have to have a piece of paper and draw the lines of the family tree to explain it, but I think you got the gist. Appreciate your call, Lisa! Pastor Jëan Ross: Our next caller is Joe, calling from Washington, listening on KACS. Joe, welcome to the program. Joe: My question is... I’ve always thought of new wine as being grape juice, and in Acts 2, I believe it is Acts 2: 13, when the Apostles had the Holly Ghost with them and they’re speaking in different languages, people thought they were drunk on new wine, in the King James Version, and I was trying to figure that one out. Pastor Doug Batchelor: Let me help you a little bit, if I can. You’ll notice, it says in Acts 2:13 “others mocking said, these men are full of new wine.” It was customary, in Bible times of course, their wine skins, some might have new wine in them, some have medium wine and some might have old wine. You know, it gradually age and ferment. Some people would be staggering around and someone said “Oh, you’re drunk...” and they said “No, I was drinking new wine” in other words I shouldn’t be drunk, it was new wine. People always make the excuse “I shouldn’t be drunk, I thought this was new wine.” When the disciples were speaking in tongues, those who were mocking were saying “Oh, they’re full of new wine” and it was sort of a sarcastic proverb that was used back then for someone who was not claiming to be drunk. Now, you pick up a bottle, it says 12 proof on it. You know exactly whether it’s alcoholic or not. Back then they would open a skin of wine, they drink a little bit and say “Oh, I shouldn’t get drunk, this is new wine.” But there wasn’t. The key there is the word “mocking” they’re being sarcastic. Pastor Doug Batchelor: Yes, new wine wouldn’t make you drunk. Some further evidence for that is Isaiah 65 where it says, “For us, the new wine is in the cluster” while obviously the juice that’s still in the cluster is not fermented. Pastor Jëan Ross: Isaiah 65:8. Cindy is listening from Miami, Florida. Welcome to the program Cindy. Pastor Doug Batchelor: Cindy are you there? Cindy in Miami, are you still with us? Sometimes people wait patiently then they have to step away from the phone. Cindy? Ok, we’re going to have to move along. We’re going to put her on hold, see if she comes back. Pastor Jëan Ross: Jenny is calling from Rockland, California. Jenny, welcome to the program! Jenny: Thank you. My question is, if I were to shoot somebody and possibly kill them in self-defense am I breaking the commandment “Thou shalt not kill”? 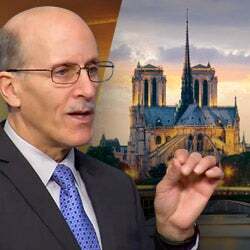 Pastor Doug Batchelor: No, because the commandment technically says, and Jesus quotes it this way in the New Testament, he says “Thou shall not commit murder”. When we read the New Testament, the King James Version it says that “Thou shalt not kill”, the key to the word kill is that it really means murder. Because otherwise, when God sent the Israelites to fight battles, David to kill Goliath, it’d break the commandment. If you’re pulling a weed, you’re killing a plant. If you swat a mosquito or a fly, you kill them, and you can kind of end up like a Buddhist, tip-toeing around hoping that you don’t squash any bacteria because you’d be killing. Murder is different. Murder is the premeditated taking of another life without cause. If a soldier defends his country, you don’t call them a murderer when they come home. If a police shoots some militia bandit or in self-defense you don’t call them a murderer. The commandment and Jesus says it this way in the New Testament is “Thou shall not commit murder.” So, if someone invades your home and if a person was armed and they were threatening the life of my family and the only way for me to preserve their lives is to use firearms... you know, since the founding of our country that was always understood as a normal reaction. As a matter of a fact, the laws of the land protect you. I had to do, this is kind of a... what’s the word for it... I hesitate even say this because it’s very sad, but I had to do a funeral for a baby, one day, that was killed by it’s father. The baby was crying, the father begun to beat the child with a... hammer. The landlord heard it. He came and he yelled at the father to stop, he wouldn’t stop and he shot him. The police did not even arrest the landlord. They said it was justifiable. That’s a very radical example, but nobody contested that that man had to do something. Anyway, so, I hope that helps a little. Jenny: Thank you very much! Pastor Jëan Ross: That verse in Matthew, that you referred to, Jesus speaking is Matthew 19:18. Pastor Jëan Ross: Our next caller is Jim, calling from Washington. Jim welcome to the program! Jim: I was wandering, you know in Matthew and in Luke they have genealogies that differ... What do you have to say about that. Pastor Doug Batchelor: Yes. In Luke is going from Mary’s father, so it’s talking about Joseph’s father, but there on the Greek they’re talking about Joseph’s father-in-law. In Luke you’ve got them tracing the genealogy of Jesus through Mary’s father, Joseph’s father-in-law, and in Matthew you’ve got them tracing His genealogy through Joseph’s father. Now, keep in mind, both Joseph and Mary were from the tribe of Judas and from the house of David. So they weren’t even that distantly related. Their genealogies intersected like rivers a couple of times. That’s the reason why you’re going to find a little distinction there. Jim: Oh yeah? Because some people say that the Bible is perfect and that it has no difference. I was wondering why do they have Joseph in there, because Joseph wasn’t Jesus’ real father, God was. Pastor Doug Batchelor: Well, that’s true, but Joseph raised him as his father and God committed the care of Jesus to Joseph. In the same way that God is willing to adopt us and give us a new family, Jesus was adopted into the family of man and Joseph was his father. So, I think the Bible is 100% true, and appreciate your question, Jim. Pastor Jëan Ross: Should we try one more, Pastor Doug? Pastor Doug Batchelor: Two minutes. Pastor Jëan Ross: Ramona is calling from Denver, Colorado. Ramona, welcome to the program! Ramona: How is the whole world, the wicked in the whole world, going to be able to participate in that? Pastor Doug Batchelor: Well, all the wicked who have ever lived will be raised and you figure that the New Jerusalem is 375 by 375 miles square, you place that on the planet it’s about the size of the State of Oregon. You’ve got the rest of the surface of the Earth, we don’t even know if there’s any ocean left because the Earth is fried. It says that the elements melt with fervent heat when Jesus comes back. The rest of the surface of the Earth can easily hold the billions of the wicked that will be resurrected. So is that what you’re asking? Ramona: What I’m asking is the proximity, if the wicked are so far away, how are they able to participate? Pastor Doug Batchelor: I think they’re going be able to see. 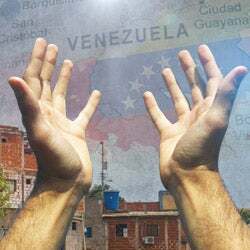 For one thing, God is going to give them, I believe, supernatural ability to see what’s transpiring within the city and it says the walls in that city are huge. As a matter of fact it says the length, the breadth and the height of it are equal. Something 375 miles high, you could see it from hundreds of miles away. Oh, friends, I wish I had more time for your Bible questions. I’d like to take a whole program for every one of them, as some of them require more attention. Please go to the website. We’ve got deeper answers there that are written out, also archives. That’s amazingfacts.org and also keep in mind these are tough financial times. We’re listener-supported and we’d love to hear from you. You can make a donation right there at the website. It’s amazingfacts.org. God bless you friends, we’ll hear from you again next week! This is been a pre-recorded broadcast of Bible Answers Live, a production of Amazing Facts ministries. If you would like to order the materials mentioned on this broadcast call 800-835-6747 from 8 a.m. to midnight East Standard Time. That’s 800-835-6747. If you’ve missed an episode of Bible Answers Live, you can find it on our website: amazingfacts.org. You’ll also find our online sale catalogue of books, tapes and other materials, as well as numerous free resources on nearly every Bible topic, putting the answers of your Bible question right at your fingertips! If you’re been blessed by this program, let us know. Write to us at PO Box 909 Roseville, California, 95678. Be sure to tell others about the program and join us again next time for more Bible Answers Live with Pastor Doug Batchelor.